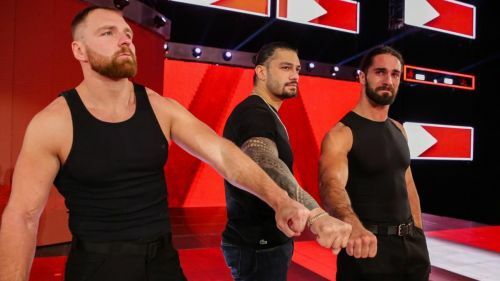 Roman Reigns News: What happened backstage before Roman Reigns' leukemia announcement? Roman Reigns announced that his leukemia was had returned on the 22nd October episode of WWE RAW. Reigns relinquished the WWE Universal Championship and announced that he would have to step away from WWE. Natalya recently described what it was like backstage during an interview with Planeta Wrestling. Roman Reigns is a former 3-time WWE Champion and a former WWE Universal Champion. He's also won the 2015 Royal Rumble. On the 22nd October episode of Monday Night RAW, the world of professional wrestling was left stunned after Roman Reigns' shocking announcement. Reigns announced that he had leukemia and would have to leave WWE indefinitely as he got treatment. Reigns also relinquished the WWE Universal Championship which was later won by Brock Lesnar at WWE Crown Jewel. Everyone at Sportskeeda wishes Roman Reigns a speedy recovery.